Violist Juan-Miguel Hernandez has been praised for “the sweetest, most sonorous tone” (Charles T. Downey, The Washington Post) and for playing that is “tender, lyrical, loaded with personality” (Pierre Ruhe, The Atlanta Journal Constitution). As a soloist and chamber musician he has appeared in many of the world’s leading venues including Carnegie Hall, Amsterdam’s Concertgebouw, Walt Disney Concert Hall in Los Angeles, the Mozarteum in Salzburg, King’s Place in London, Hamburg’s Elbphilharmonie, and The White House. 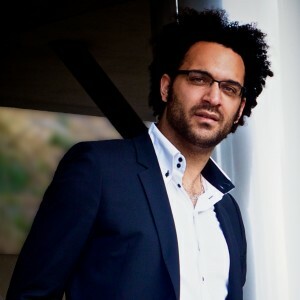 Juan-Miguel has performed as orchestral soloist with numerous organizations including the Rochester Philharmonic, the Colorado and Atlanta symphony orchestras, iPalpiti, the San Francisco Chamber Orchestra, and the Chicago Sinfonietta. As a chamber musician he has collaborated with such distinguished artists as Lynn Harrell, Ralph Kirshbaum, Kim Kashkashian, Gérard Caussé, and Itzhak Perlman. He was a founding member of Harlem Quartet, serving as its violist from 2006 to 2012, and was violist in the legendary Fine Arts Quartet from 2013 until 2018. Juan-Miguel is also a founder and current member of Trio Virado (flute, viola, guitar) and the Boreal Trio (clarinet, viola, piano), both specializing in the creation of new repertoire. His festival appearances as guest artist and pedagogue include Festival Pablo Casals (Prades, France), Festival Des Arcs (France), Amalfi Coast Music and Arts Festival (Italy), Stellenbosch International Chamber Music Festival (South Africa), Brevard Music Center Summer Institute (USA), Festival Mozaic (USA), Festicámara (Colombia), Montreal International Jazz Festival, Panama Jazz Festival, Musica Mundi International Festival (Belgium), Borromeo Music Festival (Switzerland), Madeline Island Chamber Music Festival (USA), and Festival Del Lago (Mexico). He has been featured on radio and television broadcasts throughout Canada and the United States, including NPR, PBS, The Today Show, NBC's Good Morning America, and the Telemundo Network. His recordings have been released on the Cedille, White Pine, Navona, and Naxos labels. Juan-Miguel’s awards include First Prize at the International Johannes Brahms Competition (Austria) and top prizes at the National Canadian Music Competition and the National Sphinx Competition presented by JPMorgan Chase. He was honored with a medal from the National Assembly of Quebec for his significant international achievements. Strongly committed to education and the engagement of new audiences, he has worked with young musicians and a variety of communities through art convoys in South Africa and Venezuela, music festivals in South America, and outreach projects in Europe and North America. In 2016 Juan-Miguel was appointed professor at the Royal Academy of Music (London). He was invited to serve on the Jury of the 2017 Johannes Brahms International Competition and the 2018 Sphinx Competition. Beyond his extensive classical repertoire, he has performed regularly with jazz legends Gary Burton, Stanley Clarke, Paquito D’Rivera, and Chick Corea. He performed with Nora Jones on her album Broken Little Hearts, and as a member of Harlem Quartet collaborated with Corea on his Hot House album, a Grammy-winning CD including Corea’s composition “Mozart Goes Dancing,” which won a separate Grammy as Best Instrumental Composition. Juan-Miguel is currently working with Yamaha artist Merlin Etorre on a project that will feature classical repertoire for viola and analog synthesizer. Born in Montreal, Canada, Juan-Miguel Hernandez began his musical studies at the age of seven. Among his teachers were Jean MacRae, Paul Coletti at the Colburn Conservatory, and Kim Kashkashian at New England Conservatory. He also worked with Dimitri Murrath, Paul Neubauer, Karen Tuttle, Steven Dann, James Dunham, Barbara Westphal, and Pinchas Zukerman. He plays on a 2008 Miralles viola from Altadena, CA.